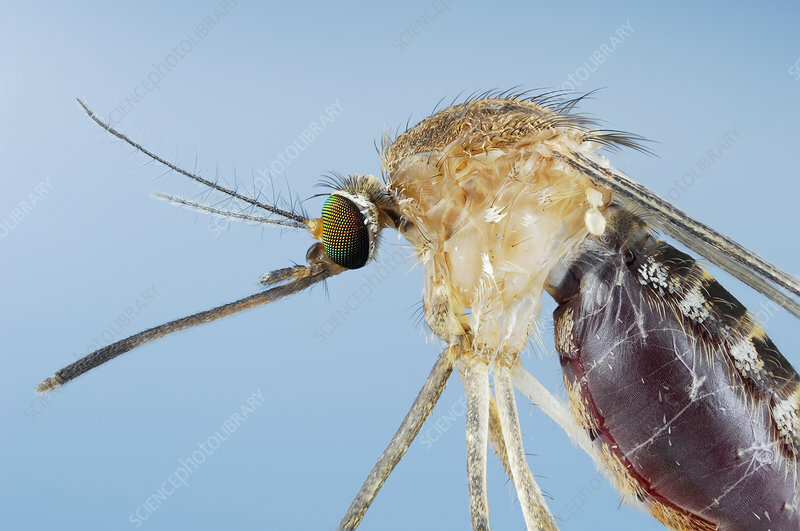 Female Mosquito (Culex pipiens) is found on every continent except the Antarctica. Note the piercing mouth parts and the blood in the abdomen. The male mosquito does not bite.